This week in Walker history: from "Galleries" to "Art Center"
On January 4, 1940 — a night noted, not surprisingly, for its bitter cold — a crowd of some 3,500 showed up at the Walker Art Galleries to celebrate their reopening as the newly named Walker Art Center. The change involved much more than nomenclature: It established this institution as the last (and largest) of dozens of public art centers that had opened around the country during the Depression, as part of the Federal government’s Works Progress Administration. 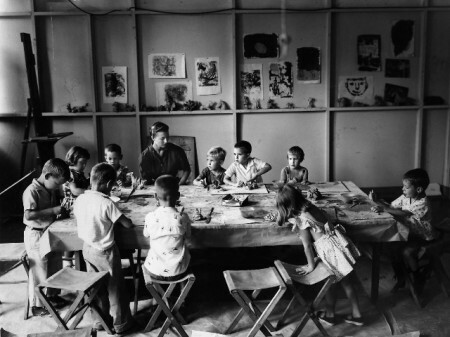 The idea for art centers originated with Daniel Defenbacher, a young architect who had left his Chapel Hill practice in 1935 to become head of the Federal Art Project in North Carolina. With the support of the WPA and FAP, he envisioned creating Community Art Centers in in small and medium-sized towns and cities, which would serve as gathering places for learning and culture, as destinations and “town squares” with a mission to support all the arts. His experiment in North Carolina was a success and the WPA charged him with establishing art centers around the U.S. — some 73 in just four years. by 1938, he was exhausted, and looking both to wind up the program to find another opportunity for himself. 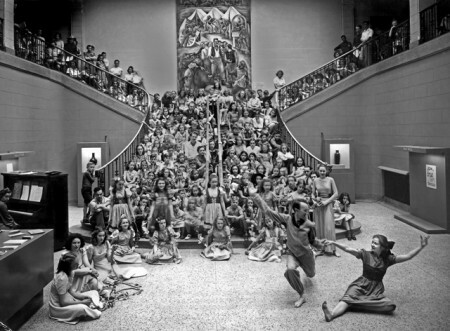 The stars aligned around the Walker Art Galleries, the WPA office in Minnesota, and what was then known as the Minnesota Art Council; and the reorganization of the Walker Art Galleries into the Walker Art Center was set in motion. So by January, 1940 the institution — with Defenbacher as its director — was ready to set off on a new path. Besides sharing T.B. Walker’s collection with the public (as T.B. himself had done for decades), the new Walker Art Center would mount exhibitions designed to connect art, everyday life, and the average citizen; offer workshop-style classes in arts and crafts for adults and children; and, eventually, build a collection of modern and contemporary art. Seventy years have passed since the Galleries became a Center, so we’re celebrating the anniversary with a revival of one of Defenbacher’s first public programs: The Inquisition, a quiz forum that took a lighthearted and lively approach to heavyweight issues surrounding art. The first round of our new game takes place tomorrow night (rounds 2 and 3 are on February 11 and March 4) amid the painterly splendor of the Benches & Binoculars exhibition — submit your questions here, or just show up (it’s free!) and throw in your 2 cents.